"The Coldest Beer in Town!" 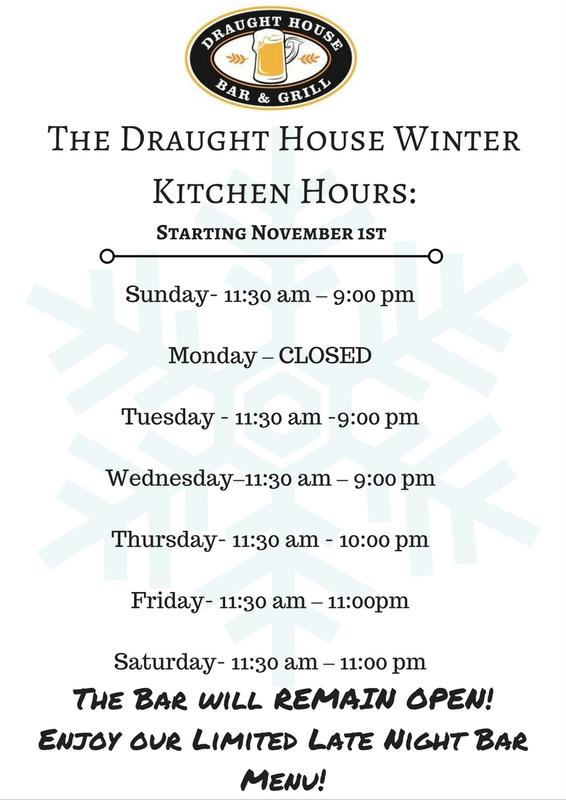 Introducing the Draught House Bar & Grill, the newest entertainment, drinking, and dining destination of Central Massachusetts and West Boylston. One of the best new Bar & Grills in town, we are located on route 12 in West Boylston, and conveniently placed at exit 4 off route 190. The Draught House Bar & Grill can be the perfect, centrally located spot for you and your friends, with ample parking located in front. Whether you are lounging in a booth, drinking at the bar, or watching the big game; we provide the perfect atmosphere for all nights of the week. We feature a variety of food and drink including 30+ different beers, ales, and lagers on tap as well as classic dishes to pair with your beverages. Entertainment is included too; with widescreen high definition T.V.’s located around the granite bar, making sure you will not miss the latest game or the local headlines. Not to mention, just walk around the corner, and you will find yourself in our private game room. We have pool, lottery games, and darts to enjoy with your new or old friends! Stop by, enjoy the coldest beer in town, and see what living in Massachusetts is really about. Looking for GREAT gift? Order your Gift Certificate here! Love us? Write a review! Here’s the link: YELP! The Manor for a special event, birthday party, anniversary, wedding or corporate function.